2+ years ago my doctor introduced me to Clean Burn Shape. Today I am down 70+ pounds & 5 sizes and I'm healthier than I've ever been! Clean Burn Shape helped me reinvent my relationship with food and recognize the importance of total wellness. With a foundation of amazing products, valuable information and incredible results, my journey to weight loss and wellness has forever changed my life. With big thanks to Orenda, today I begin every day with three simple words, "Life IS Good"
I proudly offer these amazing products to you. Wellness is on it's way! 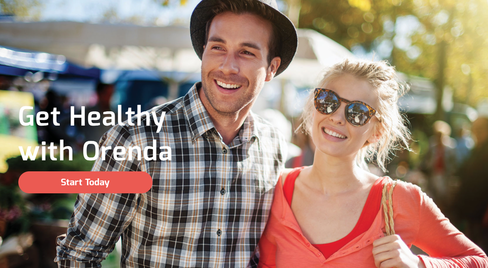 I'd like to chat with you about the ways Orenda can help you achieve your wellness goals. By filling out the info below, we can be in touch quickly. ​If you want to order right now, please click here for detailed instructions on how to set up your Orenda profile and order your products today.